Hello. 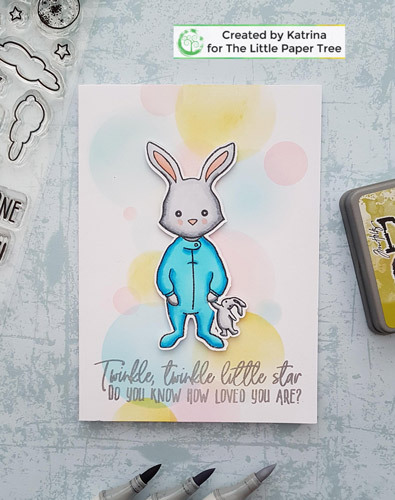 Today I am sharing a card using the Heaven Sent stamp set by Honey Bee Stanps. I started by making a card base from white card. I inked the background for the card straight on to the card base. 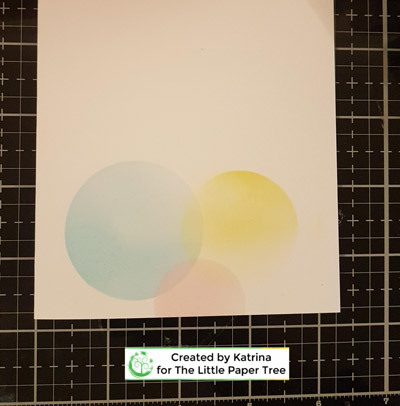 I took a stencil with various sized circles by MFT stamps called basic circles. If you dont have one of these you can make your own using circle dies and a sheet of Acetate to make your own. Just die cut various sized circles into the acetate and this will work well as a stencil. I used Distress inks to blend the circles on to the card making sure they overlap and are varied in how heavy I blended to give depth of colour. Once I was happy with the background I worked on the main bunny images. I stamped them on a piece of cardstock the coloured with my Copic markers. Once this was done. I fussy cut them out. To complete the card I stamped the sentiment from the stamp set on the bottom if the card and used foam squares to attach the stamped images.